Yes, I'm all for the specs of that device. But unfortunately HTC seems to think that their Sense UI is a reason for buying the phone. Not for me. I had the opportunity to lay on my hands on it some days ago. And I hoped for a revised Sense UI. It is in fact improved, but not in the way I would like it. Yes, you have themes now. And workspaces, so you can setup the appearance and the widgets for a special purpose. Like saying you are outside and meeting. Outside you want to have a Buzz-widget and friendstream, on a meeting you want to see the stocks and your notepad-widget (or YouTube if the meeting is boring). It sounds great. But there is a problem. It's Sense! Like previous versions it looks not as clean and slick as the stock Android vanilla UI (2.2). It looks better on the website than on the actual phone. It's kind of messy with the non-existent icon similarity. Every icon looks taken from somewhere else. The way you open the app-menu is just not the way I want it. It feels sluggish and looks a little ancient. I can't stand to work with this UI modification. I tried, I really did, but it drive me nuts. For me Sense the digitally madness coming to life. I can see no consistency. Sorry for the harsh words, and I see completely that there will be many people will love this. But I'm not one of them. Sense doesn't make sense to me. 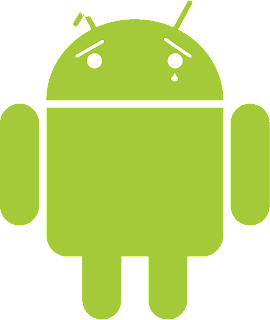 I want the stock Android. I'm used to it, it's faster than any modified UI, it looks clean and reacts fine. Why don't manufactures just add an option to get rid of the UI mods and use the stock Android if you want.